Vivid blue vases and glassware are displayed at eye level, while your gaze is drawn upward towards the windchimes made of Capiz Shells. One can envision that special place in their home for an area rug with a beach scene, nautical mirrors, starfish wreaths, and decorative fans. 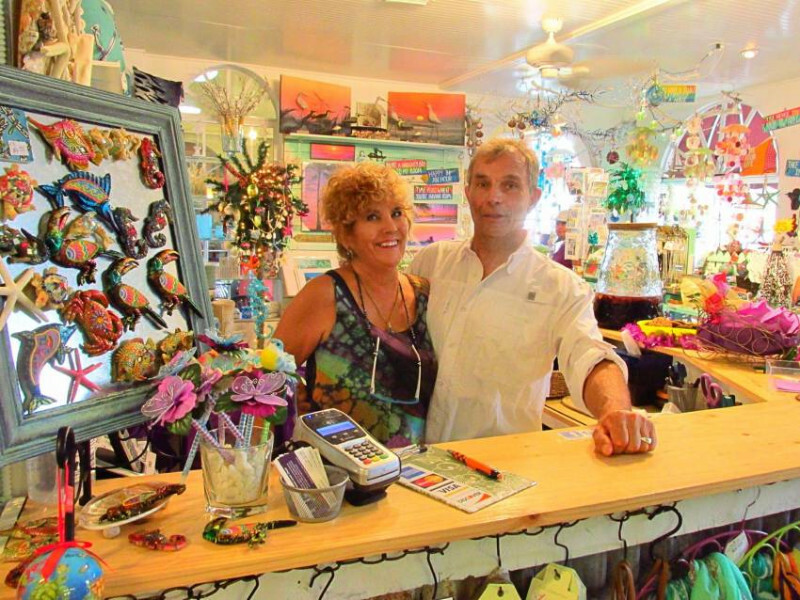 Take your time to browse the many adornments such as drawer knobs, towel hooks, and Capiz Shell boxes to hold those special trinkets and jewelry. 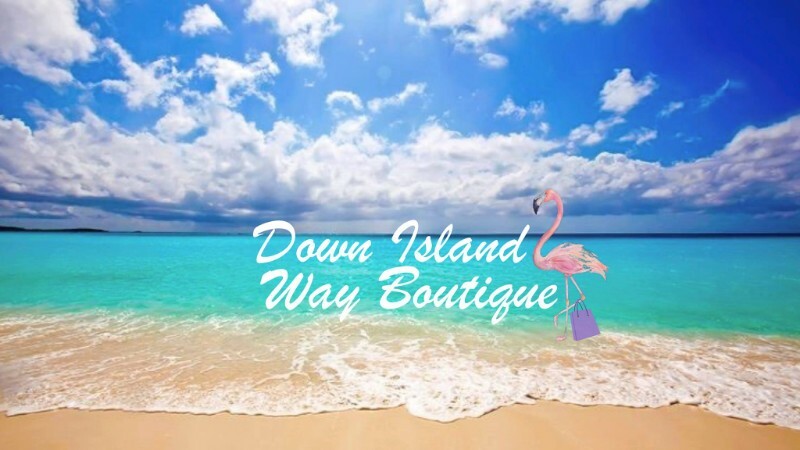 Down Island Way Boutique is always adding new items, so scoot on down and see what’s the latest and greatest in hats, purses, bags and beach totes. Giving back to the Community is key to the owners. During the month of September, they will be collecting gently worn and unused clothing to be donated to the Women’s Resource Center, Habitat for Humanity, and St. Francis. Please make sure all clothing donations are clean and still wearable. In exchange for the generous donations, customers will receive a 10% discount on their purchase of select clothing items.